Eleven Arts Anime Studio have been bringing an increasing number of quality Japanese animated features to US audiences. However, they exclusively deal in theatrical releases, leaving home releases for any title they distribute in question. Earlier this year they announced that Right Stuf would be releasing Blu-Rays of their titles Harika-San: Here Comes Miss Modern and Laughing Under The Clouds Gaiden. A couple of months later and the Studio has announced a new partnership- this time with distributor Shout! Factory. The multi-year contract will see Shout! 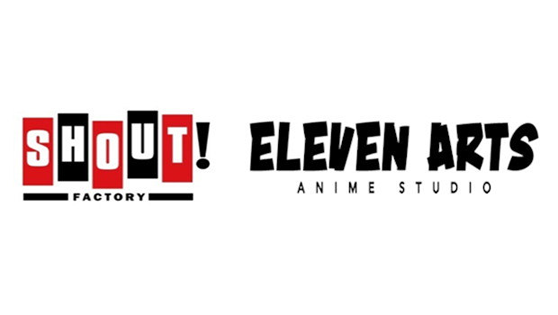 Factory take home entertainment rights for "several new releases" from Eleven Arts anime slate. This is not an exclusive deal, as it will presumably not include the titles due to be released by Right Stuf (which could go beyond the two titles already announced). Shout! Factory has a reputation for putting out quality product and should see the titles more widely available than before. Shout! Factory plans to release the films "across many entertainment platforms"- as well as Blu-Ray and DVD, they also release titles digitally and via streaming. This is great news for anyone who isn't close to a cinema that shows Eleven Arts titles, or anyone who wants to watch them time and time again. It's not yet clear which titles will be included in this deal. It seems likely that future releases will be included, but it's not known if films they released prior to the deal will also be covered. Any US fans waiting for a home release for Maquia or A Silent Voice, will certainly be hoping so.